By Puccini. A tragic opera that involves love, betrayal and suicide. Madama Butterfly falls in love with Lieutenant Pinkerton. They go through a sham marriage (from his end, not hers. She thinks it is real. He secretly wants an American wife.) and have a son. Pinkerton has to leave on his ship. 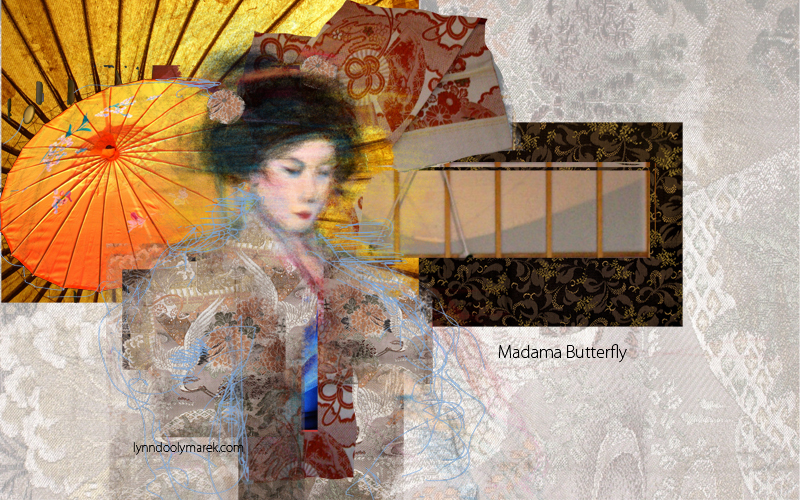 Madama Butterfly waits patiently for his return. He returns, but with his new American wife. They want to adopt the son. She must give up her son. Madama Butterfly is distraught and commits suicide. This opera is so sad. By the end, listening to Puccini's beautiful music, everyone in the audience is crying and sobbing for Butterfly.